4-Year-Old Kindergarten is Here! Learn how to register your child. 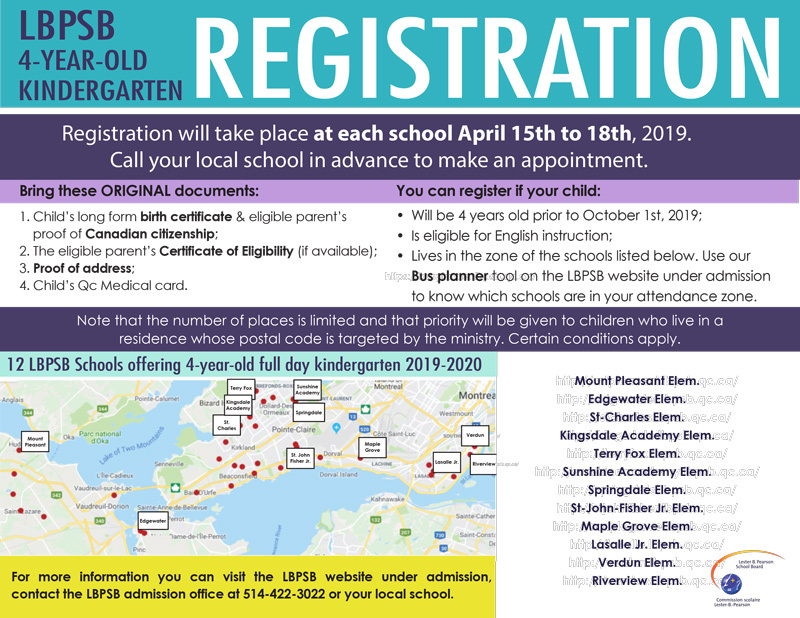 Registration will take place at each school April 15th to 18th, 2019. Call your local school in advance to make an appointment. 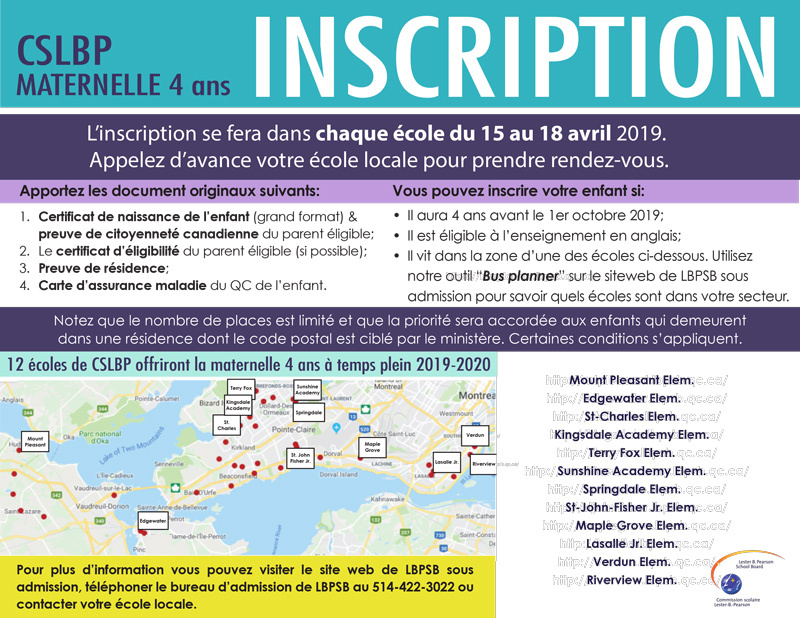 L’inscription se fera dans chaque école du 15 au 18 avril 2019. Appelez d’avance votre école locale pour prendre rendez-vous.